Journalist and Bhaoyaiya singer Shafiul Alam Raja was laid to eternal rest on Monday afternoon at Khorkhoria Mandalpara Central Graveyard in Chilmari upazila of Kurigram district. “His third Namaz-e-Janaza was held on Monday at Thanahat AU Government High School ground in Chilmari town at 12 noon and fourth at Khorkhoria Mandalpara Central Graveyard premises at 2 pm,” Editor of the Weekly Juger Khabar SM Nurul Amin Sarker told. Chilmari Upazila Chairman Shawkat Ali Sarker, Bir Bikram, District Council Member Rezaul Karim Lichu, Station-in-Charge of Radio Chilmari Bashir Ahmed, political leaders, journalists, cultural activists and common people participated. Later, his body was buried there beside his late brother and freedom fighter Raihanul Haque Mofa at 2.45 pm. Earlier on Sunday night, the first Namaz-e-Janaza of Raja was held at Pallobi and the second Namaz-e-Janaza held at the Dhaka Reporters Unity in the capital city. “On Sunday noon, his body was recovered from a room at Bhaoyaiya School ‘Kolotan Sangskritik Academy’, established by Raja in 20011 at Pallobi in Dhaka. The doctors said that he died of heart attack,” Amin said quoting family members. Raja is survived by his wife, one son and one daughter and a host of relatives and admirers. People from all walks of life, including journalists and cultural activists and his relatives broke down in tears and placed wreaths on his coffin to pay last tribute. Raja was born in 1971 in Khorkhoria Bhottopara village of Chilmari upazila in Kurigram. Audience generally called Shafiul Alam Raja as ‘Bhaoyaiya Raja’, some called him as ‘Bhaoyaiya Rajkumar’ and some others called him as ‘Bhaoyaiya Ferrari’. Side by side with becoming a popular Bhaoyaiya artist, Raja was also a prominent journalist. He worked in the daily Jugantor for over 14 years in his 24-year career in journalism. He also worked at the Daily Janata and Daily Orthoniti and he served as the Chief Reporter of the online news portal prio.com in last part of his career. He was awarded several times in journalism. 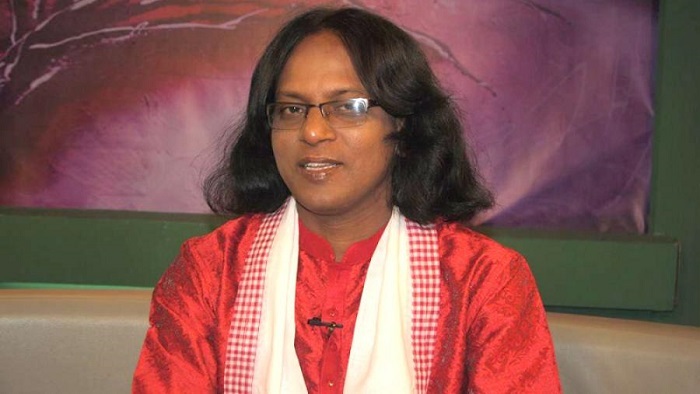 Raja was a ‘special’ artist of Bangladesh Betar and the ‘first’ grade artist of Bangladesh Television.